This April, the University of Michigan came out with a study concluding that curiosity is the “single most important trait” predicting success in school. The benefits of curiosity are. . . well, curious. A 2014 study proves something that might seem obvious: people are better at learning topics that they’re curious about, but you may be surprised to learn that curiosity triggers chemicals in the brain that help us retain information. Despite this new research into curiosity, we found that only a quarter of people (25%) with elementary-school children ranked it as the most important trait in ensuring academic success. (Incidentally, older parents (45-55) are more likely to rank curiosity as the top trait (32%) vs. 44 and under (22%). 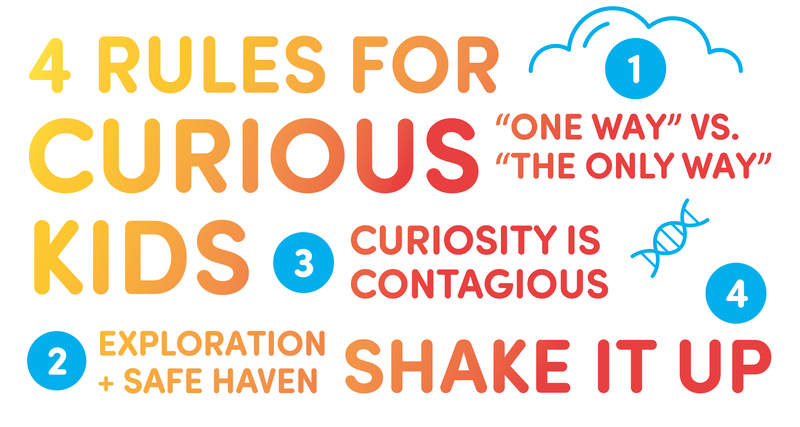 Over ⅓ of respondents (35%) said that their children’s school wasn’t actively or very actively cultivating curiosity. People were most likely to say their school was actively or very actively cultivating intelligence (73%) and collaboration (65%). Perhaps unsurprisingly, 85% of those polled said they were actively cultivating curiosity at home. Try teaching in suggestions instead of absolutes. Sure, when your dad taught you to throw a free throw, he was very, very clear about the ONLY way to hold the ball. But maybe when you teach your child, you can explain to her that this is ONE way she can try. Encourage her to experiment. Sure, she might miss a few baskets before she hits her stride. Ironically, focusing on results over process may actually undermine the core values that lead to success in the long term. 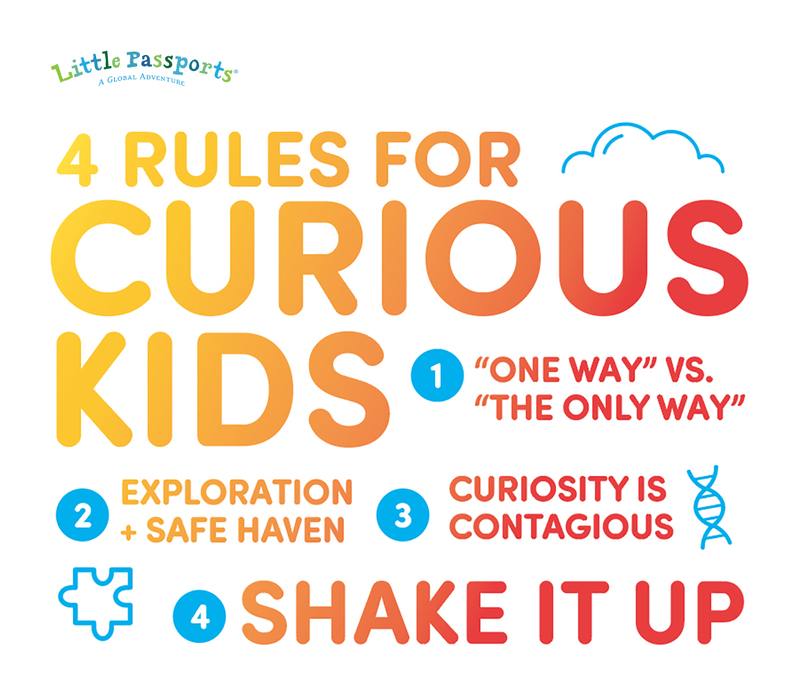 Here’s a paradox for you: kids develop curious minds by being given the space and freedom to explore the world around them. But they require a feeling of safety, as well. Give them range but also boundaries — time in the backyard by themselves, for example, when they know you’re nearby. Kids will follow your lead if you model curiosity. Ask them to observe the world around them. Engage them in questions. Get them excited about speculation — from how a story will end to what the weather will be tomorrow. Expose them to lots of different types of things — foods, different cultures, music, all kinds of experiences. Show them how rich the world is, and they’ll get excited to explore it.